The far-field speech and voice recognition market is expected to grow from USD 969 million in 2018 to USD 3,505 million by 2024, at a CAGR of 23.89%. The growth of the far-field speech and voice recognition market can be attributed to the advancement of deep-learning-based far-field microphones, growing impact of front-end hardware components on the accuracy of speech and voice recognition, and growth in voice control–based smart speakers. However, growing privacy threat from voice-enabled smart home devices and lack of accuracy in far-field speech and voice recognition systems in noisy and harsh environments are restraining the market growth. 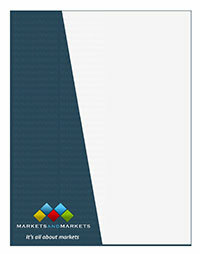 The study covers the far-field speech and voice recognition market. It aims at estimating the market size and growth potential of this market, across different segments, such as by component, application, microphone solution, and geography. The report will help leaders/new entrants in this market with information on the closest approximations of revenue numbers for the overall far-field speech and voice recognition market and its subsegments.